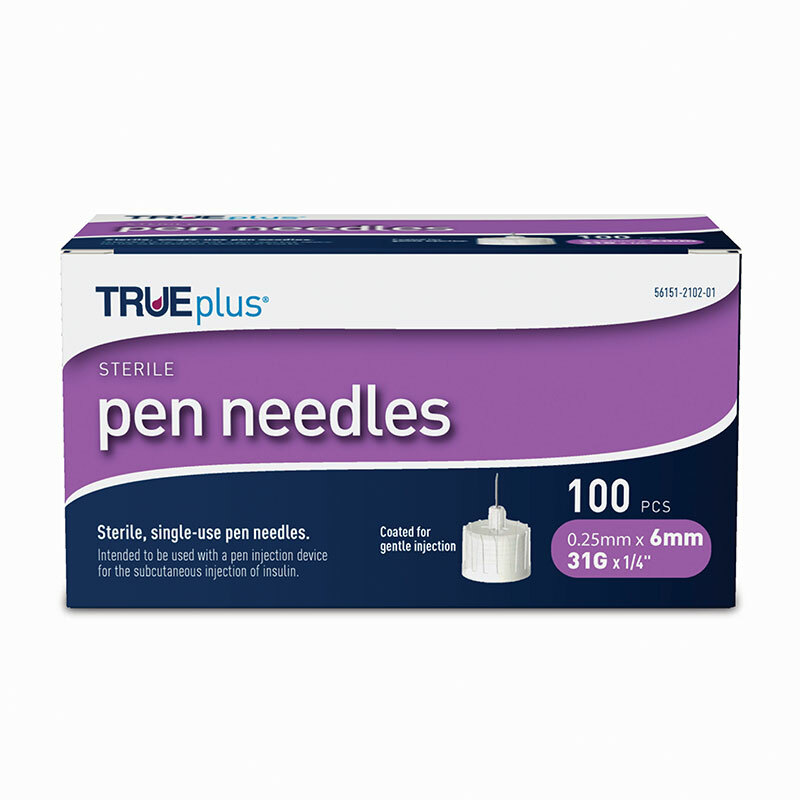 TruePlus Pen Needles 31g 6mm 100/bx feature a silicone coated needle and thin wall allowing for a smooth injection experience. TruePlus pen needles are sterile and contain no burrs or surface imperfections. These pen needles offer a universal fit and work with most insulin pens. Good but not what I wanted. The needles are not the correct length. I used the exact same description on the needle I had but these needles are too short. Not sure how to get the correct size I need.